Is there any better song that captures the end of summer and the regret of giving up one’s summer love? 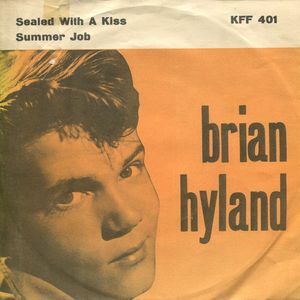 (We’re not talking about Grease here, friends, so, please…) Brian Hyland was a heartthrob who will forever be known for this hit, even though, of course, he had a long career that led him down some interesting stylistic roads. Still, you’re not gonna find any better song in his oeuvre; that’s not a dismissal, it’s simply a question of durability.